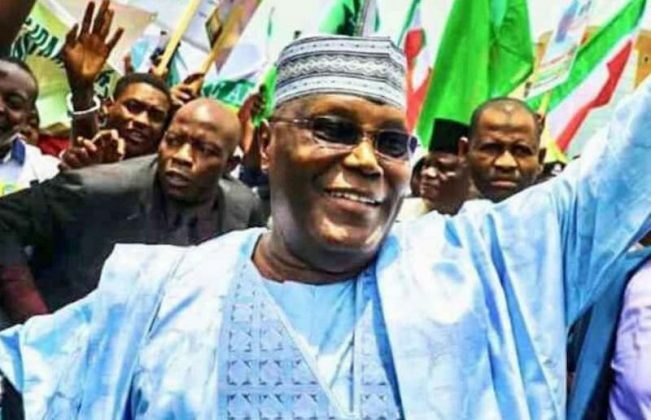 NIGERIA:: The presidential candidate of the Peoples Democratic Party (PDP), Alhaji Atiku Abubakar, has promised to end the blood bath in Zamfara State within 30 days of his swearing-in as president of Nigeria in 2019. He lamented that President Muhammadu Buhari was desperate to protect the political power of his party when he sent a combined team of 30,000 policemen to Osun and Ekiti states during the gubernatorial election, but found it difficult to do same to protect the lives of the people of Zamfara. The former vice president made the promise to halt the flow of blood in Zamfara in a video message posted on his verified Facebook page on Friday. Atiku stated, “I am following all you (Zamfarans) have been going through in the hands of bandits who steal, kill and destroy your properties. “My heart bleeds for you and I urge you all to accept my prayer that the Almighty Allah will bring an end to your sufferings. “I am contesting for the office of the president of Nigeria. I am assuring you that if you, the good people of Zamfara, elect me as President on February 16, 2019 within a month of my swearing-in, I will send a combined force of 30,000 soldiers and policemen to stay in Zamfara and make sure that the bandits you see today, you will see no more. “When election took place in Ekiti and Osun states, President Buhari sent 30,000 policemen there. I want to assure you that it is more important for me to secure your lives and properties than for me to secure political power for my party,” he assured. Meanwhile, a pro-Atiku group, the Promoters/Hunters Forum, has said that it was disheartening to witness Nigeria being plagued with overwhelming negative changes and uncertainties under the present administration.